If you just Google Mauritius Places of interest, you will have hundreds of results of places to see and things to do in Mauritius. This is great for the adventurer and the traveler but not that much for the first time visitors, who just gets confused with so many places to see. Whether you are a first timer or and soul traveler, we’ve picked up the 10 places to see in Mauritius. If you love the beach, the sun and all the goodness that comes with resort living, then you have to visit Grand Baie. This is the most beautiful resort of Mauritius and one of the liveliest too. The small village of Chamarel located in the south of Mauritius has been blessed in so many ways. Hundred meters long waterfalls to its curious seven colored earth, Chamarel is a natural wonder. The capital city of Mauritius is also its soul. The city is an open air museum to discover the historical and cultural values of the island of Mauritius. Watch out for the numerous religious architectures located on the streets of the city. The market has a craft and souvenir section where special touristic products are sold for really cheap. If you are looking for exotic gift ideas to bring back, the market is your destination. Located on the west coast of the island, the village of Flic en Flac has a very touristic feel to it. The village owes its fame to its wonderful 6 kilometers of stretch white sand beaches. Looking for a colorful and lively place to spend the morning in Mauritius? Visit the central market of Port Louis. The market is lined with exotic fruits and vegetables that can be found on tropical islands only. Cap Malheureux is one of the many peaceful places you will see in Mauritius. Its red-roofed church is certainly the most romantic spot of the island. Bring your camera for a souvenir shot. Gris gris is a place reserved for wild nature lovers. Far from the postcards beaches of Mauritius, Gris Gris is located in the extreme south of the island. Worth a visit but swimming is not advised there. Le Morne Brabant is a natural historic place in Mauritius. This UNESCO world heritage site hides one of the most picturesque views Mauritius has to offer to its visitors. The villages is also home to Le Morne public beach, a pristine beach ideal for couples and honeymooners. Ile aux Cerfs is simply the most famous island of Mauritius. Ile aux Cerfs which stands for Deer Island is located within the eastern lagoon of the main island and has everything to keep you entertained during the day. Also known as Pamplemousses garden this orchard covers an area of around 37 hectares and is the oldest botanical garden of the southern hemisphere. The garden is famous on the island for honeymooners and couples for the romantic feel of its alleys. 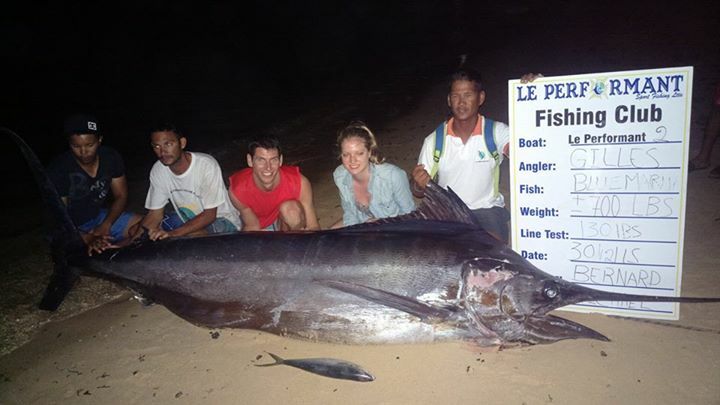 Nimalen Permal, owner and manager of Le Performant Sport Fishing LTD in Mauritius.